How can payor organizations drive innovation within their organizations? Can their relationships with startups accelerate change in the healthcare industry? I spoke with Jennifer Fabas and James Weiselman Schulman of Cigna, one of MassChallenge HealthTech’s partners, to gain insights on the benefits and challenges of driving innovation within a payor organization, learn the ins and outs of working with digital health startups, and their experience as MassChallenge HealthTech partners. TELL ME ABOUT YOUR ROLES AT CIGNA. James: I wear 2 different hats at Cigna. Most of the time I’m working on Jen’s team at the Innovation Center for Excellence doing design work within the innovation space, and I work on the internal consulting team across the organization working with startups and incubators. Most recently, I have taken on a new position overseas, where I am helping them do user-centered design across the international market. I’ve worked at Cigna for over 5 years, and it’s been a journey so far. James: Sara Quist and the Cigna New England team started the initiative to work with startups. We learned about MassChallenge HealthTech internally. We knew we wanted to bring in new ventures and innovative technologies across the organization to help us drive innovation. We first became a partner in 2018, where we worked with 3 startups: Medumo, HealthRhythms, and Project Edification. We are currently working with Marigold Health and Frame Health, startups in the 2019 cohort. 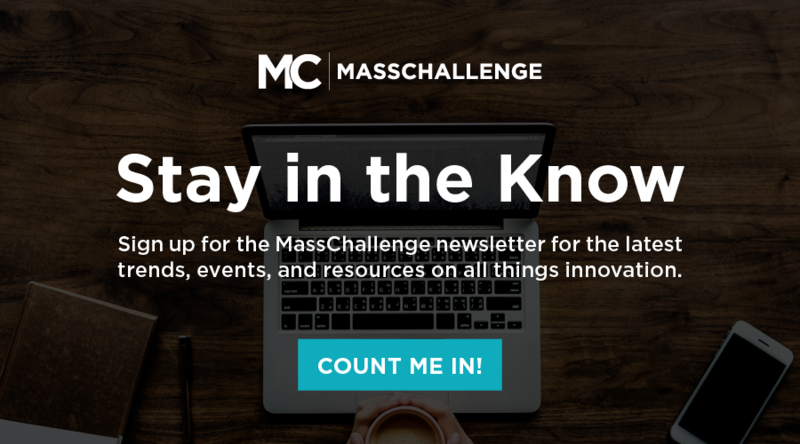 WHAT IMPACT HAS MASSCHALLENGE HEALTHTECH HAD ON YOUR ORGANIZATION? Jen: It’s been great to help folks outside of Cigna’s innovation space, and MassChallenge HealthTech has helped us challenge some perceptions we originally had around driving innovation. It has pushed our thinking into new areas of the business. The startup relationships bring us fresh perspectives and help us drive the conversation around innovation within Cigna. James: I always enjoy the chance to work with startups because it is fun, interesting, engaging, and great to gain new perspectives through MassChallenge HealthTech. TELL ME ABOUT YOUR EXPERIENCE DRIVING INNOVATION WITHIN YOUR ORGANIZATION. WHAT HAS BEEN THE BIGGEST BENEFITS AND CHALLENGES OF LEADING THIS INITIATIVE? James: First, there are different parts of innovation, and so many buckets fall under the umbrella of innovation. Cigna is a big, large organization that has been successful in innovating risk mitigation and insurance business. However, there is another part of innovation that involves experimentation. The innovation team at Cigna sees this as the next stage of innovation that we are working to drive internally. We are working with startups that can help us think about innovation. It’s better to experiment to see if something is a good idea before investing time and money into a solution so that’s why we look to startups as the answer. Some of the biggest challenges around driving innovation is the speed at which things happen. Things move much more slowly within a large organization, compared to innovation which is about things moving quicker. There are so many procedural things that need to be dealt with first, and we are currently balancing the infrastructure of working with startups and meeting organizational needs. However, despite the challenges, there are benefits to working with startup to help fuel the conversation around innovation. Startups are great for exposing people to new ideas and ways of thinking, and they help us challenge our thoughts around experimentation. So it’s definitely worthwhile. Jen: It has been a great experience working with startups. It is easy to work with startups because they want to go above and beyond even when working through the bottlenecks and internal challenges. It’s also easier to work with a startup compared to trying to build a solution using internal resources. Startups are also motivated to learn from Cigna and gain experience working with payor or provider organizations. James: When a startup’s solution aligns to our business problems, it’s great. A perfect example is Medumo. Our team had conducted preliminary research around coaching solutions, and when Medumo popped up, they had a solution in the colonoscopy space that we thought could be applied to the coaching space. After much discussion and collaboration, we felt that partnering with Medumo would be more beneficial than building an internal solution. Jen: As facilitators of the Cigna-startup relationship, we know we are not the experts within the organization. Therefore, when we are focusing on a problem, we know we need to find the right subject matter experts within the organization to help us understand what startups are doing. Additionally, in order to help accelerator startups like Marigold Health and Frame Health, we need the interest and buy-in from leadership and internal subject matter experts, which there have been. With this, we can get support that can result in driving a proof of concept or pilot for these startups. We learned this during our experience working with Medumo. Now, we are at the stage where we can unpack the systems and processes within our organization to work towards driving a pilot, which we are excited about. James: At Cigna, we look for flexibility, the willingness to experiment, and the ability to be open-minded and learn. Working with a big company is slow, and lots of people need to be involved, patient, comfortable with working through various organizational challenges. We also want to work with startups that align with Cigna’s business challenges and initiatives. Jen: One checkbox item that comes to mind for me is startups’ flexibility when working with larger organizations. Are you willing to work through the challenges that may come up across the organization? If so, there are so many benefits and learning opportunities that will become present. WHAT ADVICE WOULD YOU GIVE STARTUPS LOOKING TO PITCH TO PAYOR ORGANIZATIONS? James: Be patient, be flexible, and be ready to learn. Jen: Come with a learning mindset, be curious, and be ready to be in it for the long haul. Jen: Go for it because it’s going to push the boundaries and challenge your current perceptions around innovation and startup relationships. You need to have an innovation team to shepherd the relationships with startups and be willing to advocate for the startups. Be willing to test, explore, and take a bit of risk to try something new. James: Set appropriate expectations. It’s not like you’re going to show up, meet a startup, and start piloting within a week. 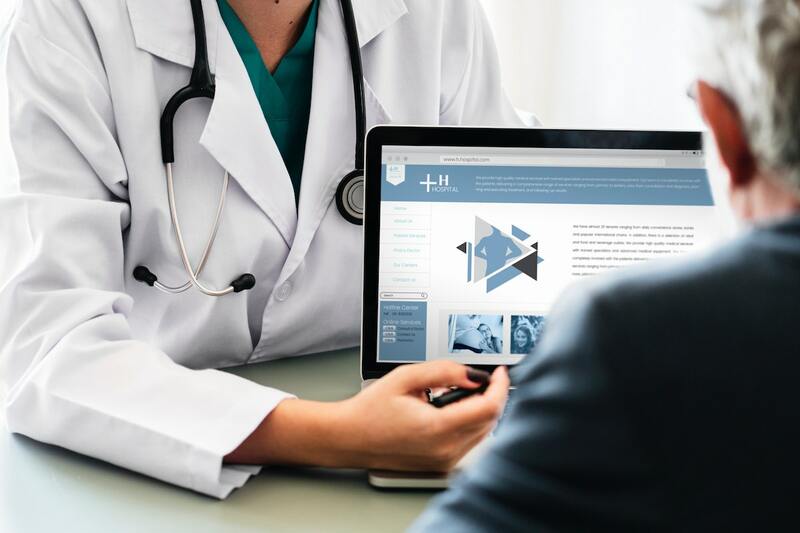 Learn about ways that a digital health startup can help you and your organization’s initiatives.